This textbook is concerned with economic development at the local, community or regional scale. Its aim is to provide students with a comprehensive introduction to contemporary thinking about locally-based economic development, how growth can be planned and how that development can be realised. • Introduces students to a range of techniques essential to success in economic development planning. In addition to a wealth of case studies and pedagogical features, the book is also complemented by online resources. 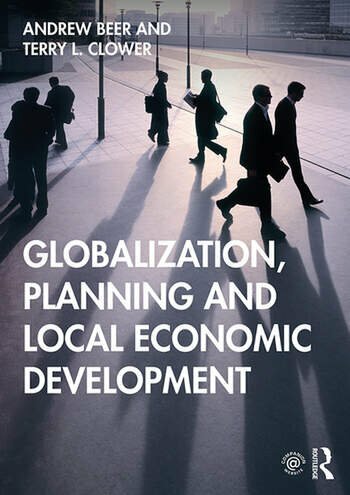 In offering a full toolkit of economic development knowledge, techniques and strategies, this text will thoroughly prepare students for a career in urban planning, transport planning, human geography, applied economic analysis, Geographic Information Systems, and/or work as an economic development practitioner. Terry L. Clower is Director of the Center for Economic Development & Research at the University of North Texas, USA. Andrew Beer is Director of the Centre for Housing, Urban and Regional Planning at the University of Adelaide, Australia.